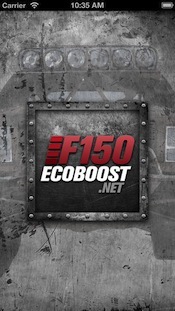 Welcome to the F150 Ecoboost Forum. F150 Ecoboost News Articles, Reviews, Aftermarket News, and Site Updates will be featured here. ** Only Staff can start new threads. What is going on around here? This area will contain the Ford F150 Ecoboost Truck of the Month Photo Contests. This section will contain custom F150 Ecoboost build threads. Please only create one thread per vehicle. Discussions comparing the F150 Ecoboost against Chevys, Toyotas, GMs, Nissands, and other Fords. Questions about towing with your Ecoboost? Discuss hitches, towing setups and more! Is my trailer too big? Ford F150 Ecoboost Photos, Pictures, Wallpapers, Videos, and more. All media can be posted here. Ruby Red, lets see them! The Ford F150 Ecoboost Performance Forum. Looking to get more power from your F150 EB? This is the place to talk about it! Looking to stop quicker with less fade? Interested in larger brake rotors and bigger calipers? All F150 Ecoboost brake discussions here. Tired of the OEM look? Aftermarket Grills, Bumpers, Fender Flares and other appearance modifications, post here. From stereo and GPS installations to remote start and other electronic mods; talk about it here. This is the forum to discuss everything from F150 Lift Kits, to Add-a-leafs, upgraded shocks, and more. This section contains How-To's and Guides for the Ford F150 Ecoboost Trucks. All F150 Ecoboost lighting discussions can be found in here. Proven Power Bragging. Post Time Slips and dyno charts here. Been out at the Drag Strip, or AutoCross? Post up to let us know how you did in your Ford F150 with the EcoBoost engine! Discuss Meets, Get Togethers, Or Activities. Pre-Tax Sale - 3 Days Only! This section will contain items for sale by the F150Ecoboost.net membership. Looking for a specific item? Posted it here. Wanted Ads are posted in here. Become a supporting member of F150Ecoboost.net!